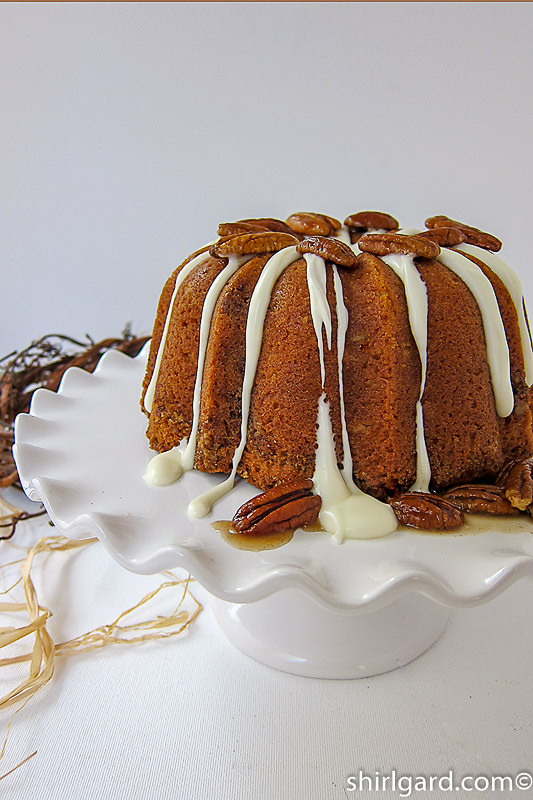 After tasting four varieties of ground cinnamon from Penzeys, an on-line spice company, their Vietnamese variety was an easy pick as my favorite, then as well as now, for this Cinnamon Pecan Bundt Cake. At the restaurant where I worked at that time, we chose to go with this brand when we were looking for spices with distinctive flavor to replace the brown sawdust in plastic jars that the wholesale distributors were peddling. 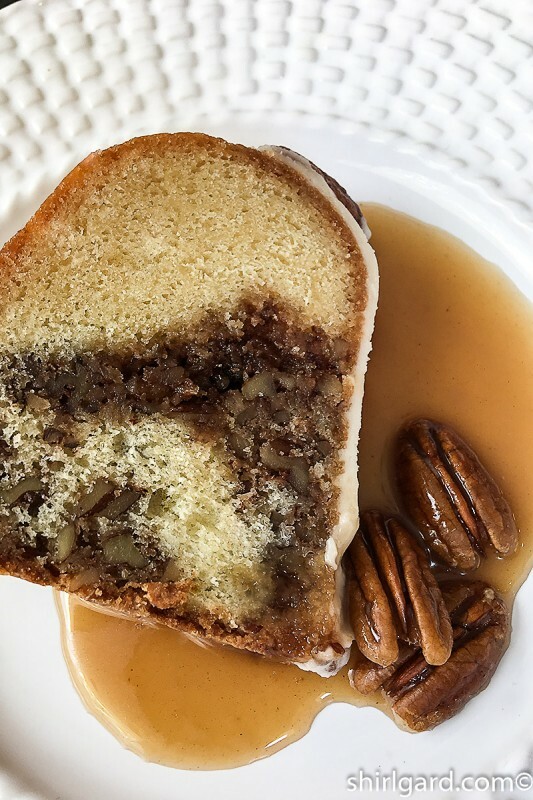 You can pretty much tell when a restaurant or bakery is using cheap ingredients—lack of flavor every time—and since we used a lot of spices in the bakeshop, we didn’t want that reputation, even though the price was a little more. 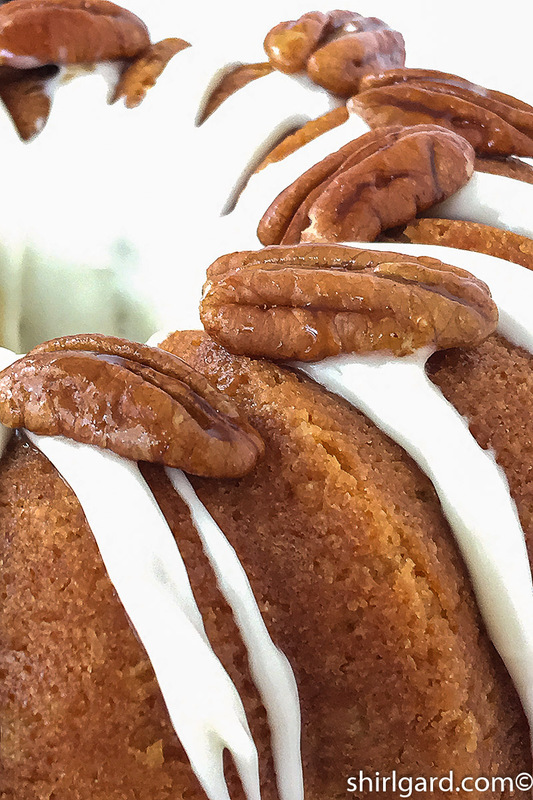 This popular spice is no doubt here to stay, in our cinnamon rolls, sticky buns, bundt cakes, and many other good things. But where does it come from and does origin matter? It is produced from the bark of different species of evergreen trees in Southeast Asia. The outer bark is stripped off, then the interior layer of the bark—this is the cinnamon—is shaved off in strips, and as they dry, roll into quills that are ground into powder or sold as sticks. As for origin and why it matters, there are four major areas of production in Asia, each location known for its own unique taste and other characteristics, such as volatile oils, the source of most of the flavor. 1. Indonesia Korintje Cinnamon—When you buy cinnamon at the supermarket, this is probably the variety that you are getting, even though it isn’t on the label. 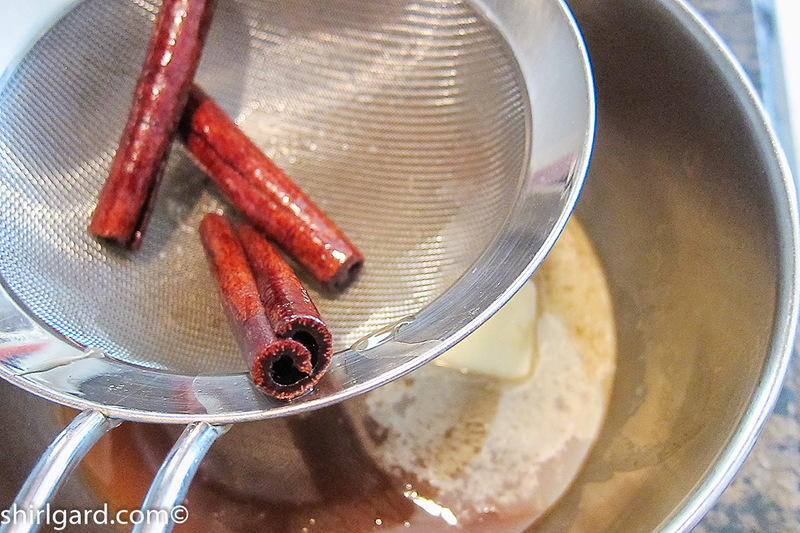 It is very fragrant, with a mellow, sweet flavor, the way you remember cinnamon as a kid. It’s the same strength as China, but smoother, and not as sharp. If you want something to shake straight out of the shaker, this is the one. 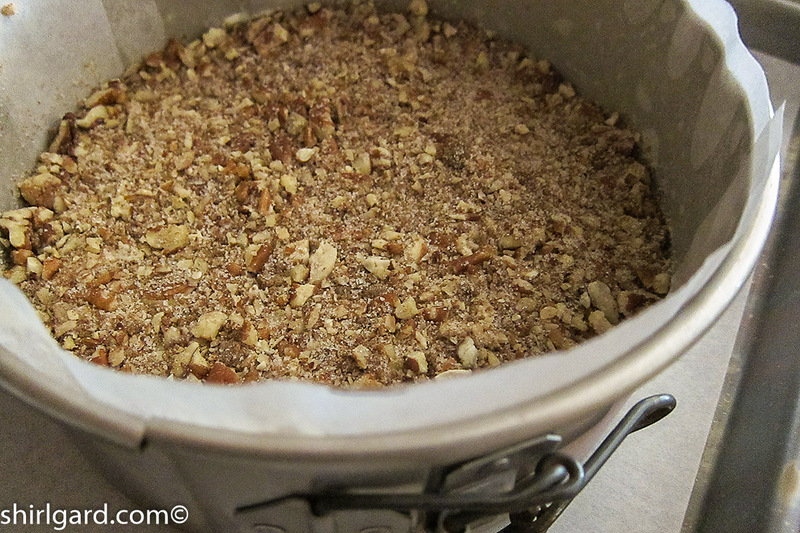 Or, it makes great cinnamon sugar. 2. Ceylon Cinnamon from Sri Lanka—This is the preferred variety in both England and Mexico. 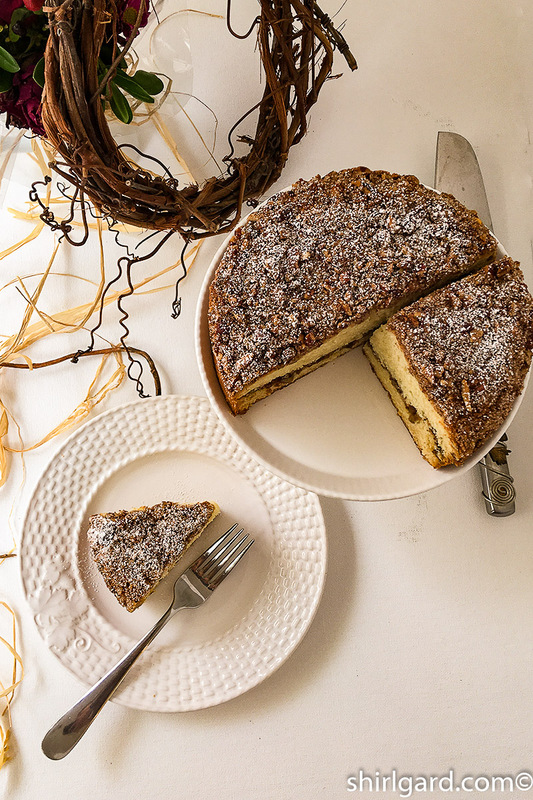 With a complex citrusy flavor and lacking any bite at all, it is a favorite in both places. If you are making Mexican food, this is the one. 3. China Cinnamon—Spicy, sweet, and extra strong; this variety is good for anything from apple pie to Christmas cookies. 4. Vietnamese Cinnamon—The strongest of them all, plus rich, sweet, and spicy hot. It’s my favorite, but you should know that I like hot spicy food as well. This is one of two varieties, along with Korintje, that I use the most. The same was true in the restaurant. 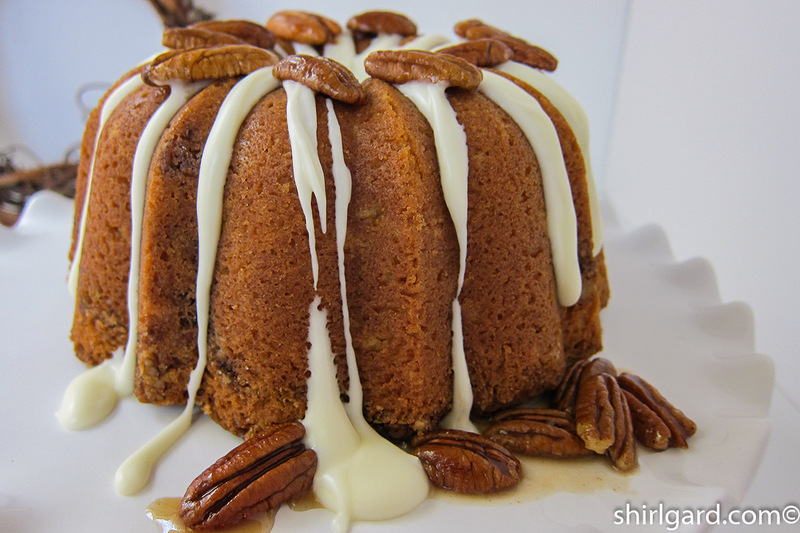 Vietnamese is what I chose to use in this Cinnamon Pecan Bundt Cake. Penzeys—This is where I order my spices. What I suggest is this: the first time , if you order, get the spices in the 1.7-ounce (1/2 cup jars). After that, order in the small plastic bags, for refills. Keep these in the freezer for freshness. King Arthur—The Vietnamese Cinnamon is available here in a 3-ounce jar. Local specialty food stores—such as Fresh Market, where I have seen Korintje, Ceylon, and Saigon (this is what the Vietnamese variety is sometimes called). Also, Whole Foods carries these specialty cinnamons, labeled with their 365 brand. Check your local stores for availability. Costco—Although they have Vietnamese, and maybe others, their jars are more restaurant-size (pack of 2 – 10.7 oz jars) rather that home-size. I don’t advocate buying this quantity, but if you do, store in freezer to keep fresh. Amazon—Penzeys, King Arthur, Costco, and Whole Foods 365 brand can all be found here, if it’s more convenient. 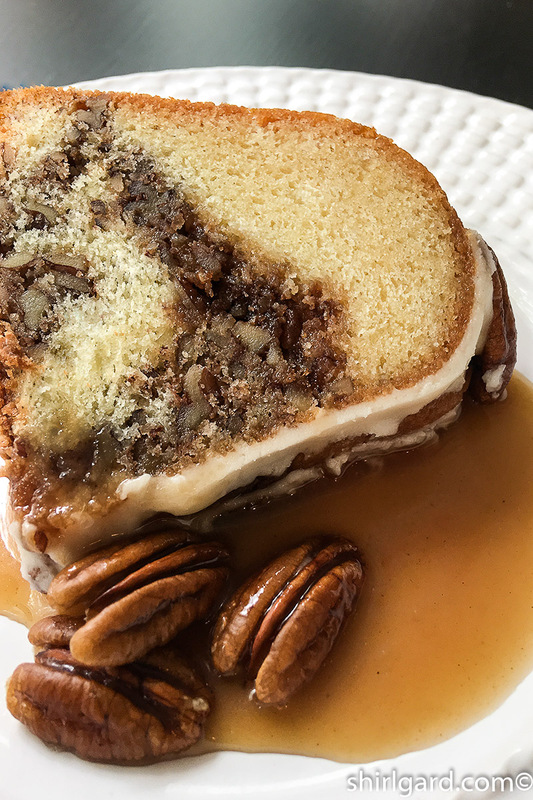 In this recipe, the cake batter is layered into a bundt pan with a cinnamon-pecan filling, like a coffee cake. Alternate two layers of batter, and two layers of filling, starting in the bottom of the pan with the batter, then pecan filling, more batter, ending with a layer of the filling (pressed into the batter). This will become the bottom of the cake when inverted. 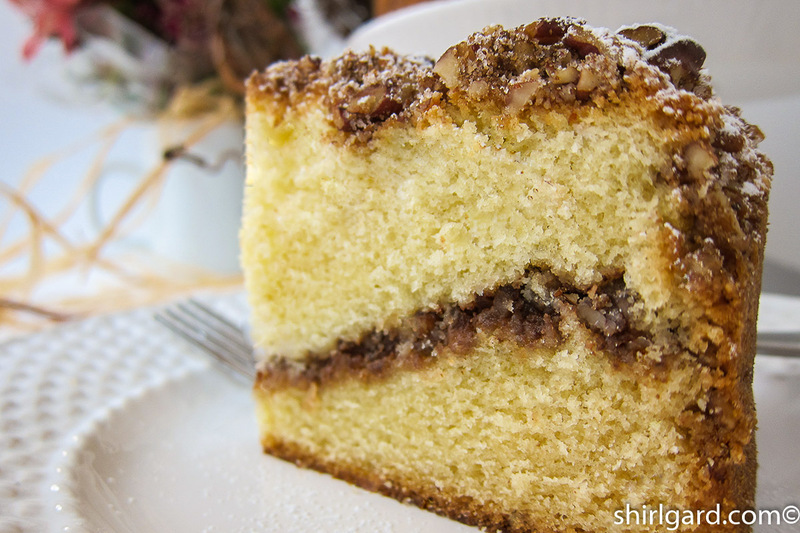 I like to scale the batter and the filling (see recipe for amounts), but if you would rather “eyeball” the layers, that’s ok too. 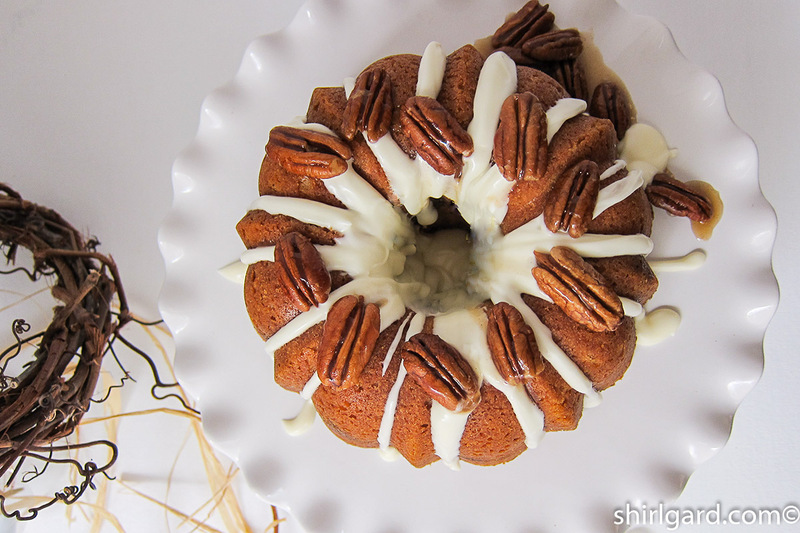 After it cools, drizzle with luscious, silky Bundt Cake Icing. 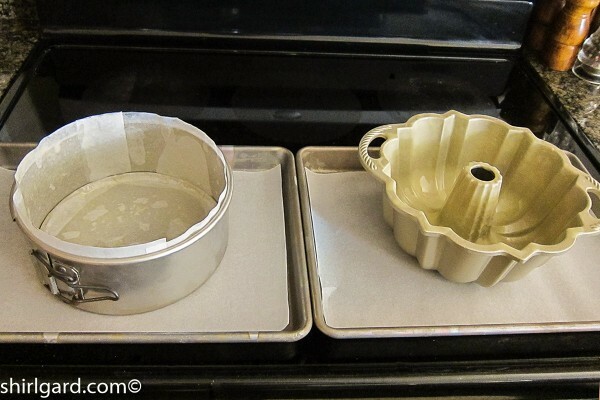 If you don’t have a small 6-cup bundt pan, the cake can be baked in a 7″ (17.5 cm) diameter springform pan. 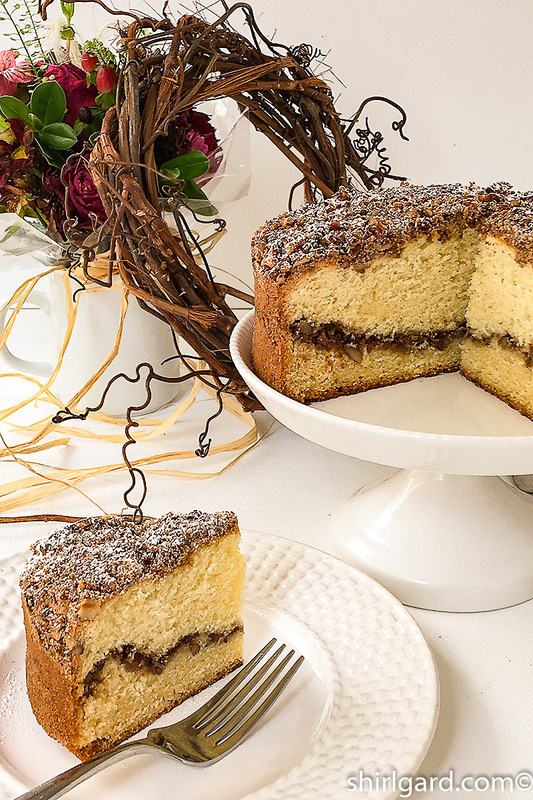 When baked this way, you can call it a coffee cake. Since I only have one bundt pan, I bake one of each and freeze one for later. Ironically, but convenient, these two pans hold the same amount. 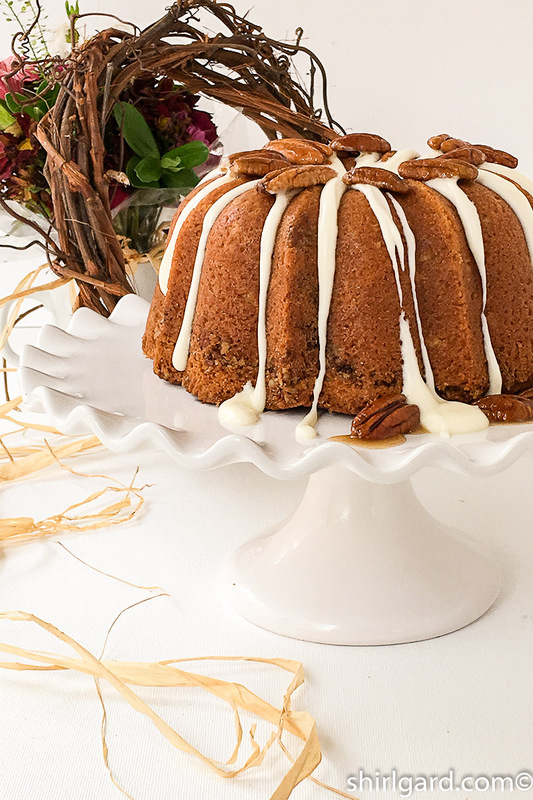 Or, you can use the whole recipe, instead of dividing it into two portions for two cakes, and bake one large 12/15-cup bundt cake. 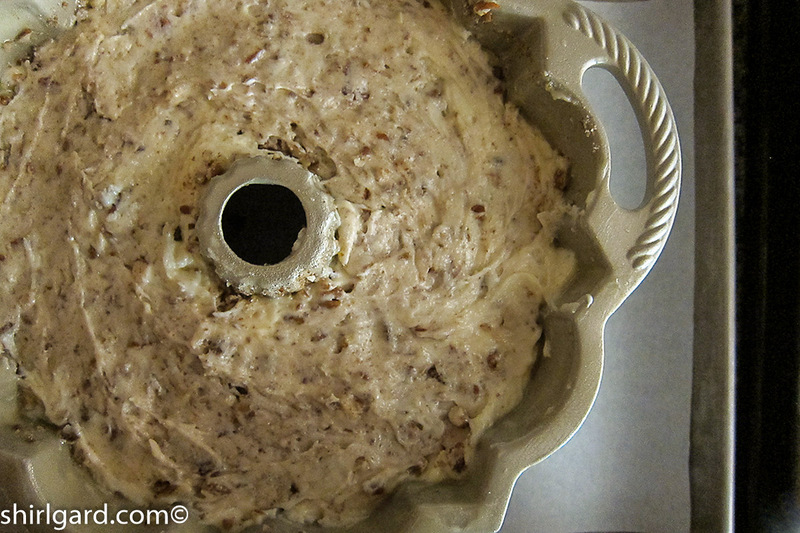 Use same layering technique and amounts as the bundt pan above. See Recipe for exact quantities. 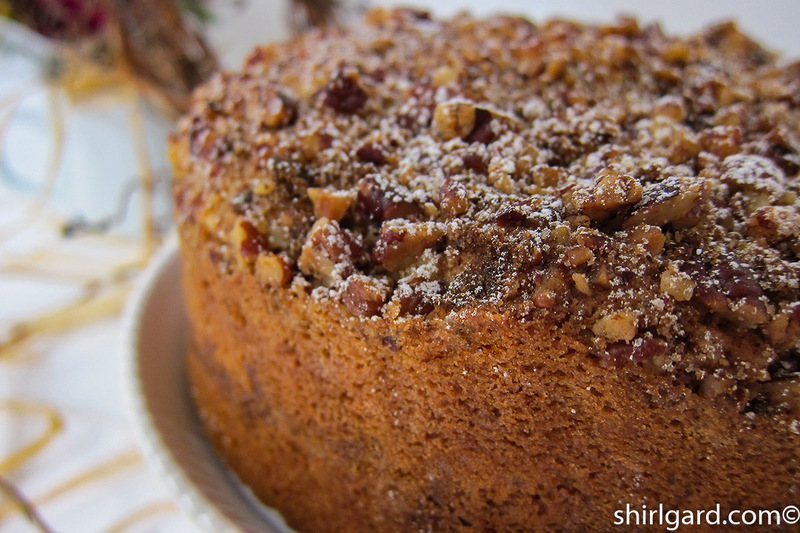 Serve with Cinnamon Syrup and extra toasted pecans. 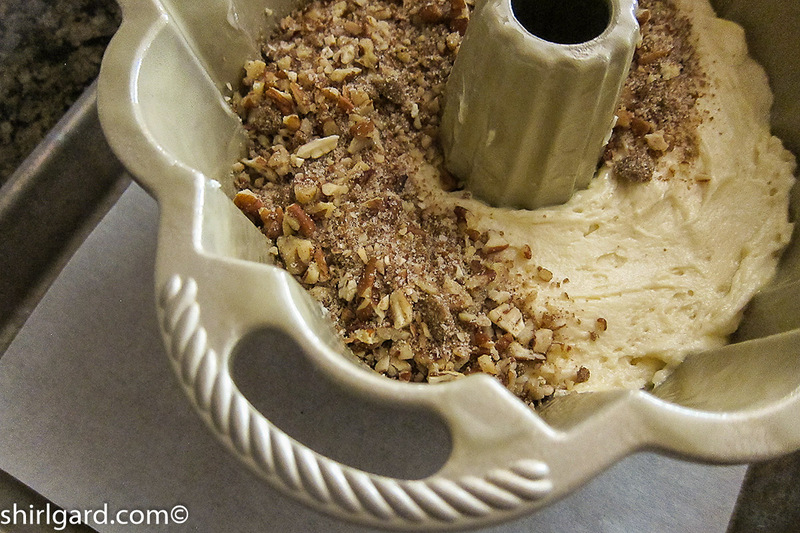 This is adapted from one of my all-time favorite coffee cake recipes, which I converted to a bundt cake. It is flavored with my number one choice of cinnamon, Vietnamese, and I love the drools of the Bundt Cake Icing (Recipe below). 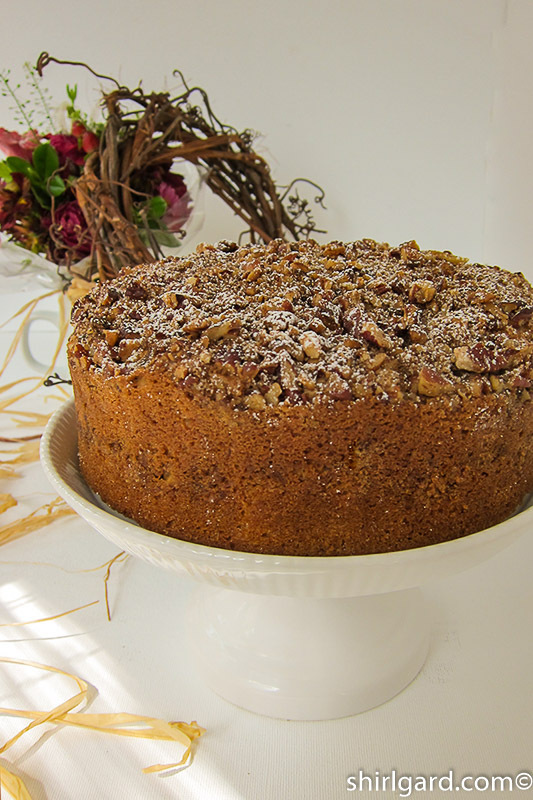 The garnish of toasted pecan halves creates a dramatic-looking cake. 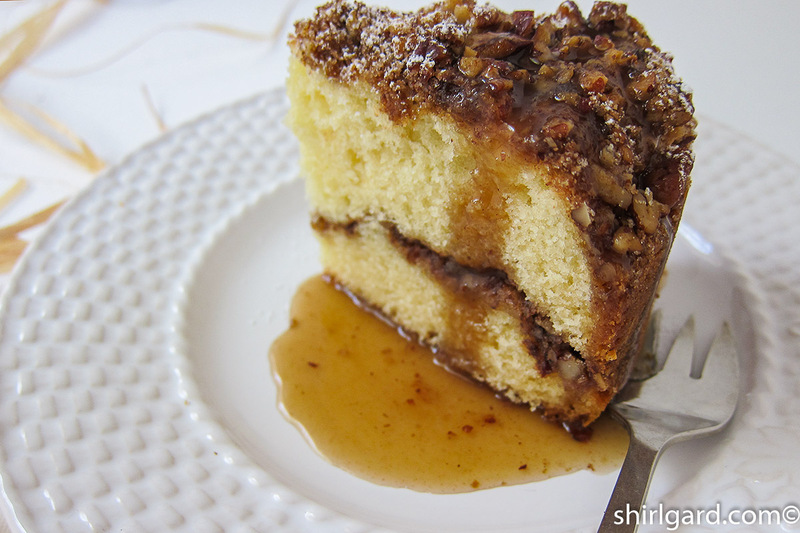 Serve with Cinnamon Syrup. PREP PANS: Spray generously with non-stick spray with flour, such as Pam or Baker's Joy, making sure to get into all the crevices. 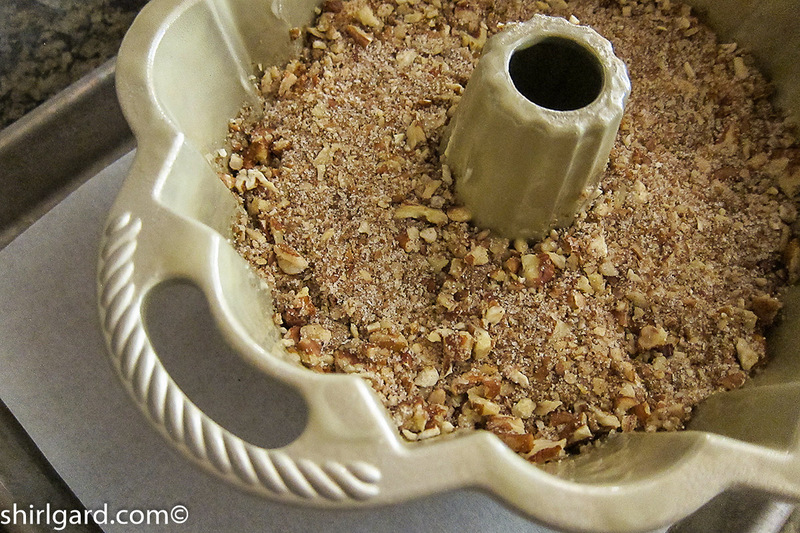 MAKE NUT MIXTURE: Process pecans, sugar, and cinnamon in food processor: pulse until the nuts are chopped medium fine. 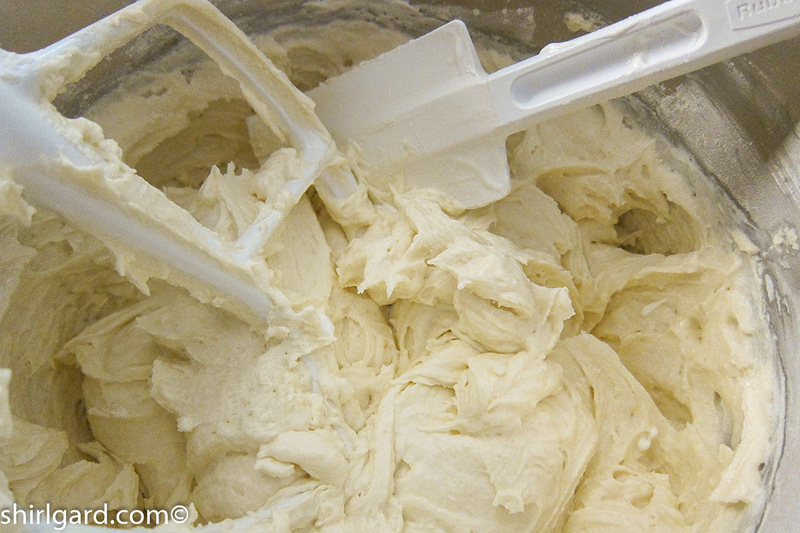 MIX BATTER: Mix sour cream and soda in a mixing bowl and let stand at room temperature for 1 hour. 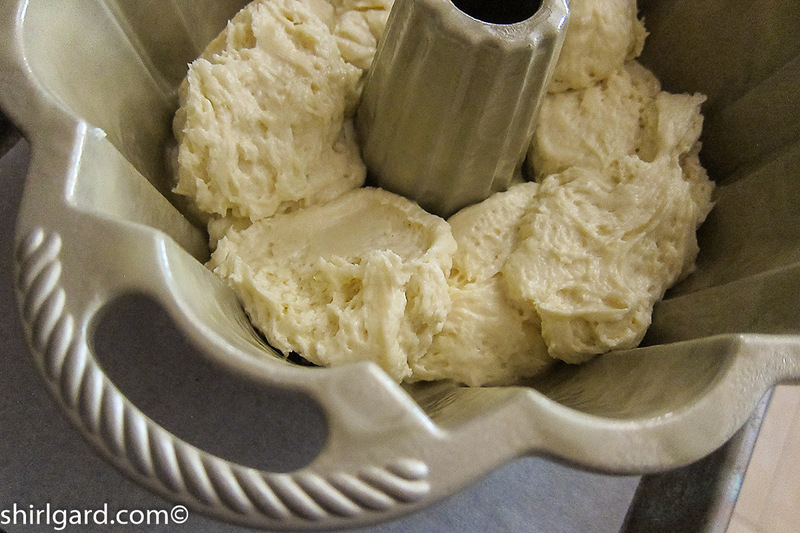 SIFT flour, baking powder, and salt together. Whisk to blend. 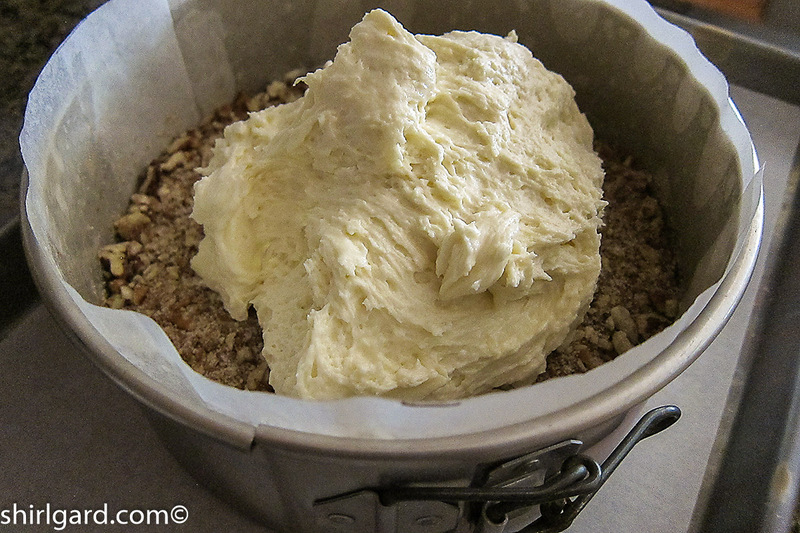 CUT the butter into 1" cubes and place in mixer bowl. Using the paddle, mix on medium speed until smooth and lightened in color, about 2 minutes. Add the sugar gradually. Continue beating 3 minutes. WHISK the eggs with the vanilla. Add to the bowl, a little at a time, beating for 1 minutes after each addition. Scrape down the bowl as needed. REDUCE mixer speed to low. Add the flour mixture (in 3 parts) alternately with the sour cream (in 2 parts), beginning and ending with the flour, mixing just until blended after each addition. 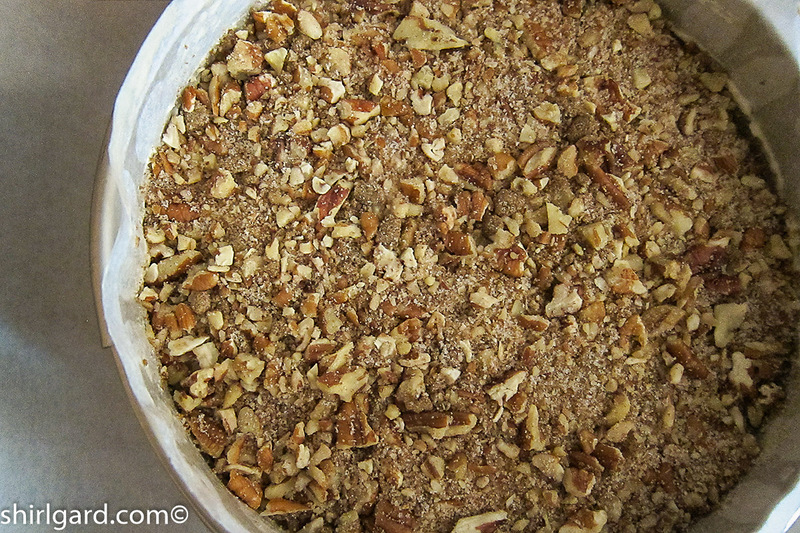 Scrape down sides of bowl and scrape up bottom of bowl. Mix in. BAKE on two parchment-lined quarter sheet pans @ 325° F (165° C) 45-50 minutes, until a skewer tests clean. Large cakes will take longer. COOL on sheet pans for 15-20 minutes. 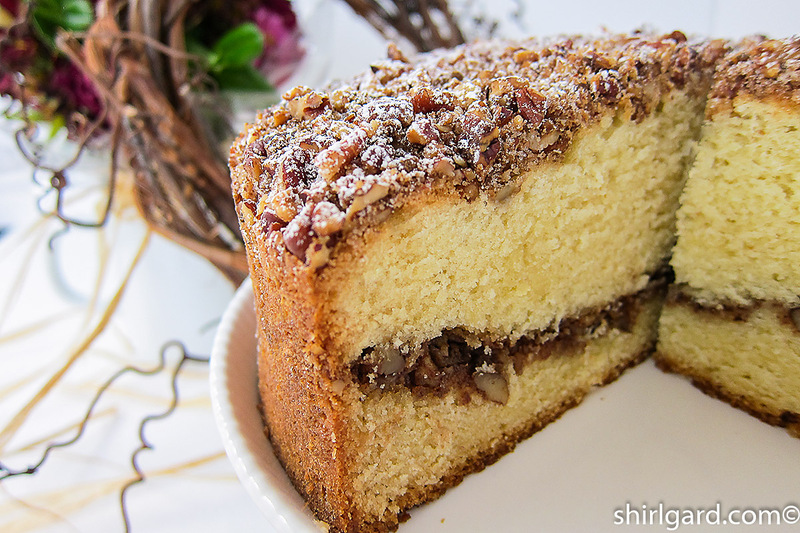 Carefully invert the cakes onto cake boards or platters. 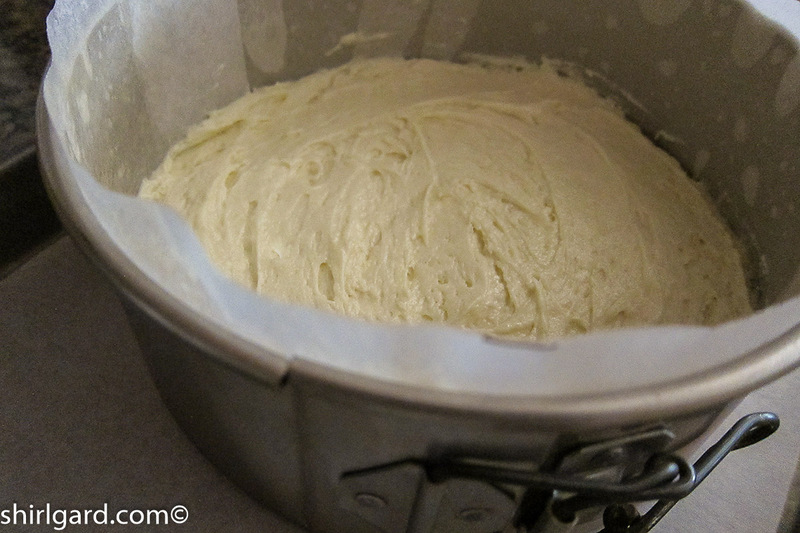 BUNDT CAKE ICING: MAKE the icing while the cakes bake. 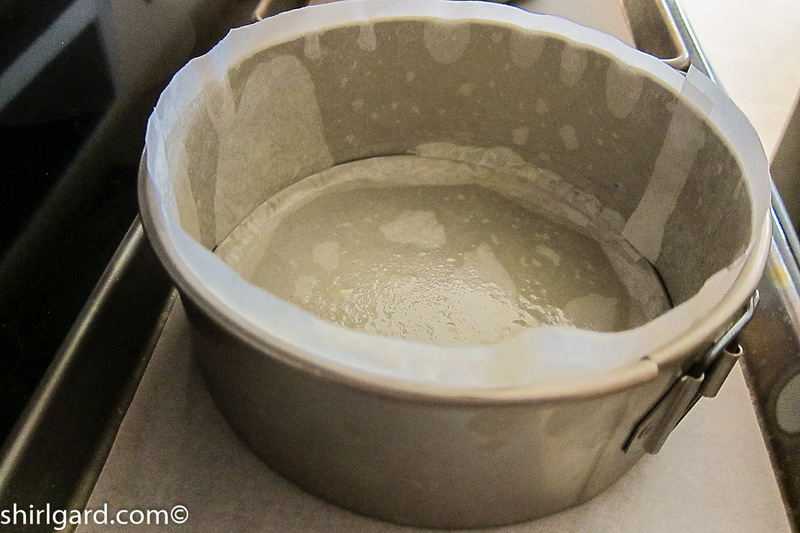 Whisk cold cream into powdered sugar, beating until the mixture is smooth and glossy. Add vanilla. 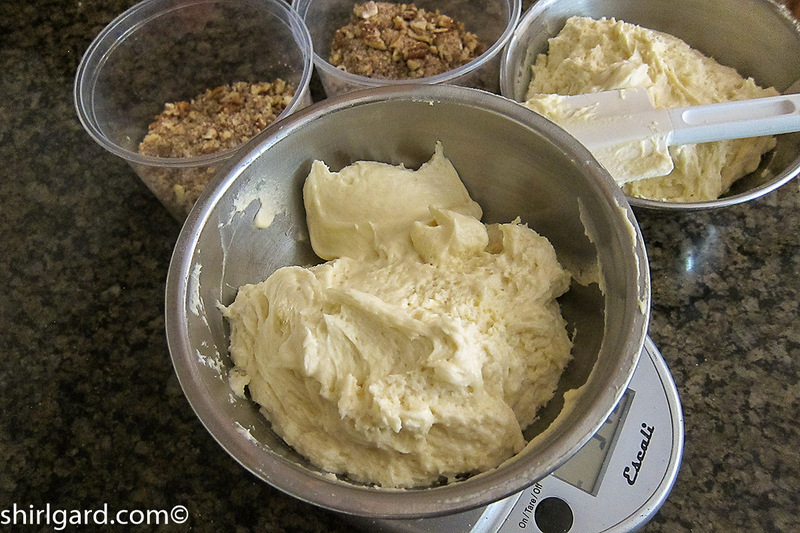 Adjust consistency, as desired, with more cream, or more sugar, to make a thick icing that flows easily from a spoon. DRIZZLE icing on cool cakes; it looks nice running down the crevices. REST the cakes to let icing firm up. CUT into wedges and serve with Cinnamon Syrup, (separate recipe) if desired. 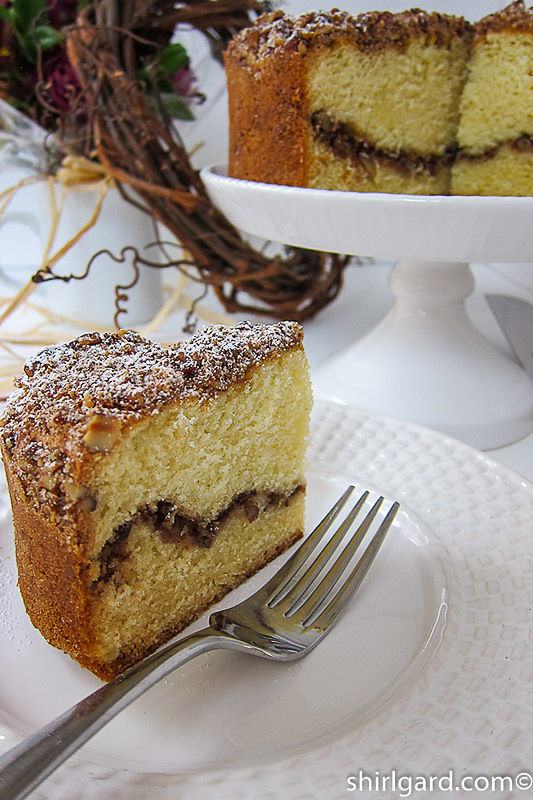 Adapted from recipe for "Classic Sour Cream Cinnamon and Nut Coffee Cake", page 36: Great Coffee Cakes, Sticky Buns, Muffins & More by Carol Walter (2007).